Hey, beautiful people of the internet! Last time we spoke about world building and our approach to level design. In case you missed it, you can read the text here. This time, we’ll cover our workflow behind character design and, more specifically, our protagonist Jiro. We’ve decided early on that our protagonist should be of Japanese-European descent. His face, clothes, tattoos and demeanor should represent his origin, character and skill. 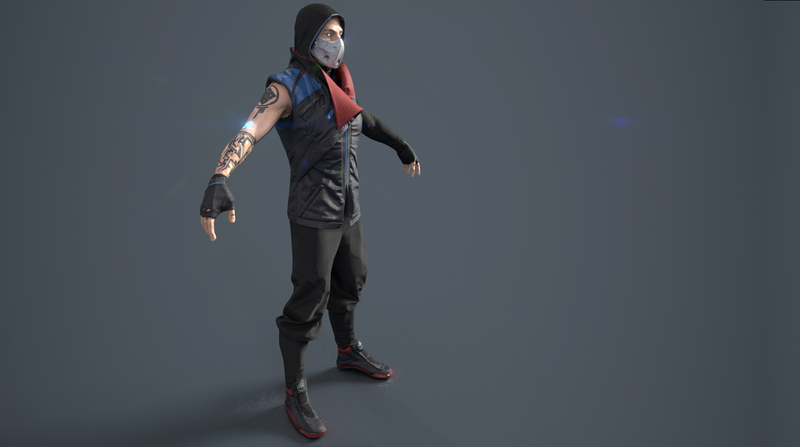 We wanted to portray him as an urban warrior, someone who could handle himself in both combat and stealth. In the first drafts, Jiro had a more down to earth, plain outfit. While that would be acceptable and realistic, we decided that his outfit should be more telling and memorable. We went through several iterations between concept and prototype. 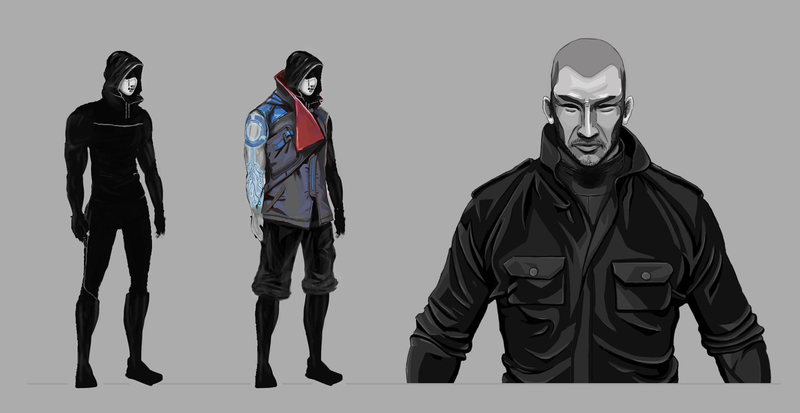 We were refining our ideas and getting closer to what we want from our protagonist’s look. Finally, we settled with a slightly stylized, high-contrast asymmetric look. 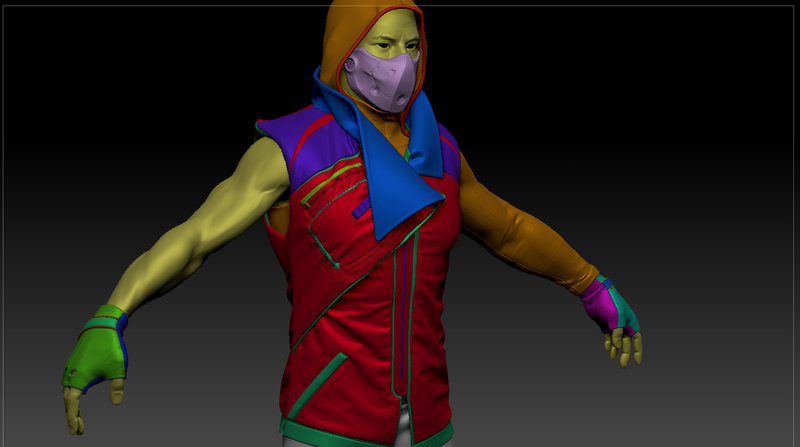 Mask, hood and west became dominant elements with strong, vibrant accent colors. His body shape went from bulky to lean. Physical strength was secondary to his agility and finesse. Normally, when creating a character for a top-down game, it’s a good practice to focus on prominent features at the expense of tiny details. While that will certainly be true for most of our characters, Jiro needed a special treatment. 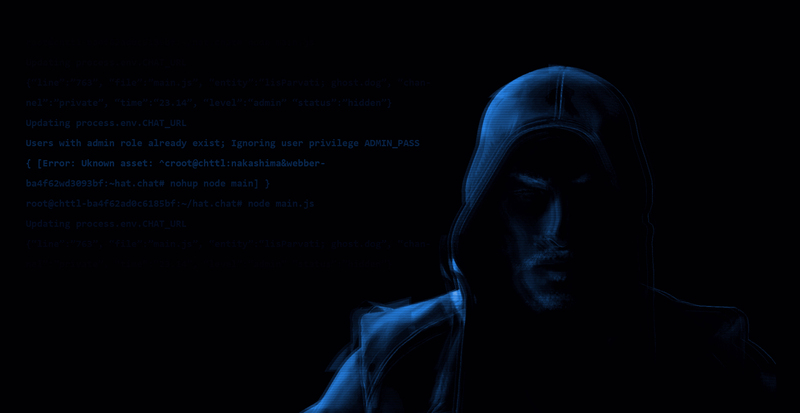 Since we’ll be using him a lot in our promotional material, we knew we need to pay attention to details too. A lot of it comes down to telling a story through character design – not only about character himself, but also about the world he inhabits. 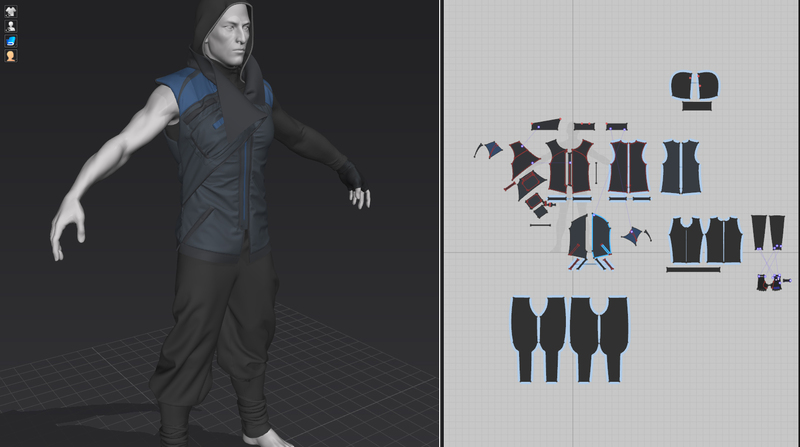 Most of the cloth work was done in Marvelous Designer. It’s a fantastic piece of software which allows us to simulate complex cloth behavior. It’s great for prototyping and quickly iterating on what works and what doesn’t. It helped us immensely with crafting a believable set of clothing. 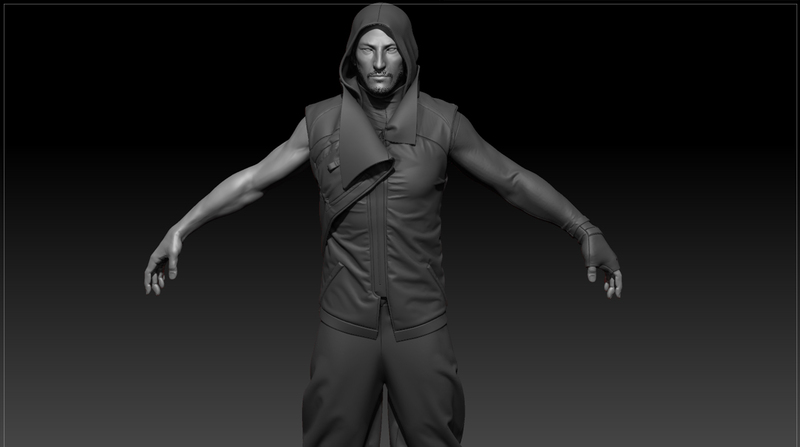 After exporting the clothes model back to ZBrush, we focused on polishing and adding detail. The process of fleshing out a high poly character is arguably the most fun, since you get a virtually limitless playground to explore. While most of the details can be added in the texturing phase, it’s a good idea to at least imprint the most important crevices in the model. Most of the details will transfer to maps during the baking process, and depth information will help with procedural generators in the texturing software. 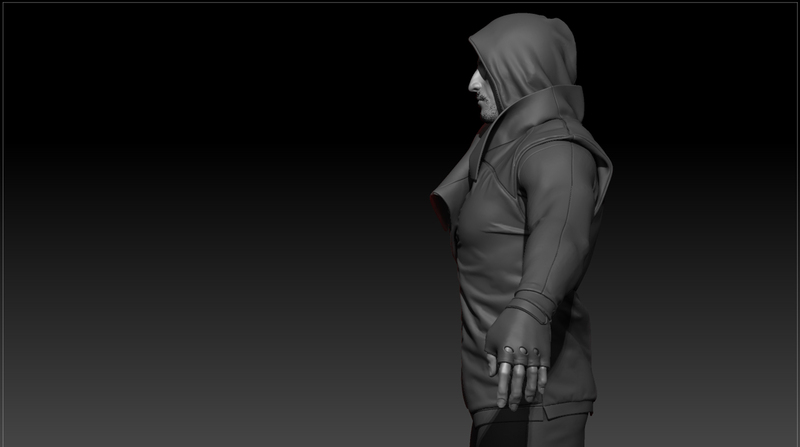 Retopology is the process of reducing geometrical complexity of a model to be suitable for use in a game engine – while keeping the silhouette intact. A general rule of thumb is that a model’s geometry only needs to convey the form, while the details are shown through various textures wrapping the model. 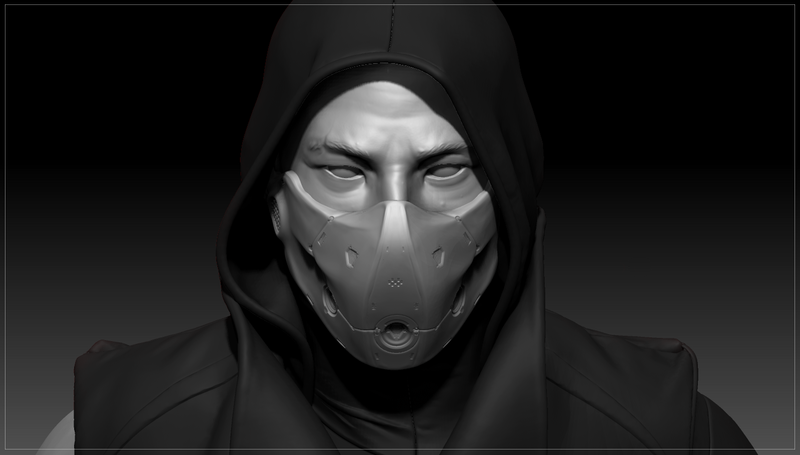 Automatic retopology tools such as ZBrush’s ZRemesher often do the job (especially when you’re in a hurry).But due to relative complexity of Jiro’s model, we needed to carefully “paint” geometry over our high poly model. This requires some planning and patience, in some ways similar to solving a puzzle in 3D. We need to carefully consider polygon density, loops and connections. This is especially important with animated characters. There are a lot of moving parts that all need to stretch, twist and bend naturally without breaking the topology. 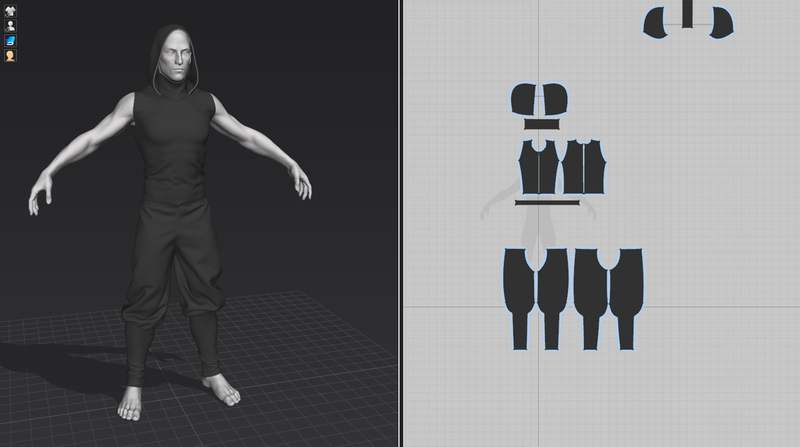 Before diving into texturing, it’s a good idea to prepare the model beforehand. That includes UV mapping, color-coding different material areas and baking detail information into maps. Substance Painter, our texturing software of choice, uses this information as basis for its powerful procedural generators. It’s important to us to keep our workflow non-destructive, so we can easily iterate and modify without losing original information. Substance Painter allows us to isolate specific parts of the texture by using masks. We hardly ever paint directly on the texture. Instead, we use a combination of procedural materials, generators and masks to keep the layers dynamic and reusable. That way, editing a color or a material property on a whole model is usually a matter of changing a single parameter. 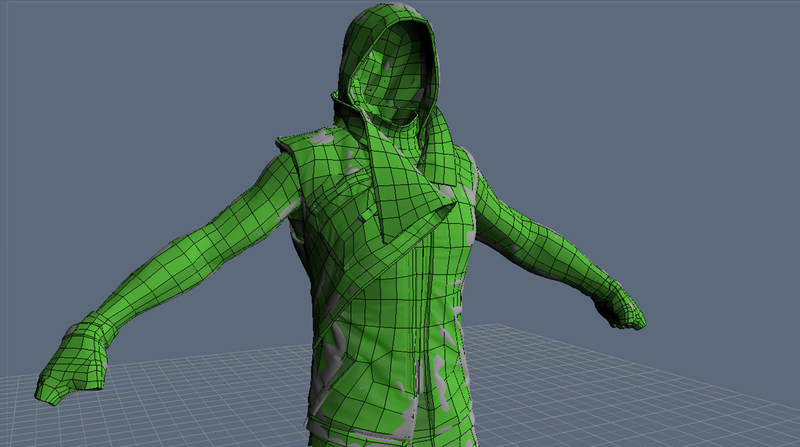 We use depth and position maps to generate wear and tear and overlay it over basic materials. We try to avoid using too much grunge and noise (although it’s tempting to do so). Material damage helps “sell” a texture and push it towards realism, but too much of it can muffle and distract from important details. We aimed for a slightly stylized look, with strong accent colors and consistent material scheme. Like everything in game development, character creation is a highly iterative process, at the same time requiring careful planning and playful experimentation. If you want to know more about our creative process, feel free to contact us. Stay tuned.